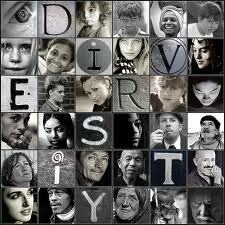 Diversity is one of the crucial questions in European public debates. The rapid transformation of European societies and especially the cities linked to globalisation is a great challenge for public policies. City governments face a large scale of questions varying attracting highly qualified migrants to empowering vulnerable groups. This question is even more important in a period of financial recession. The IP started in the academic year 1997-1998 on the initiative of Jos Berghman (University of Tilburg) and Jean Van Houtte (University of Antwerp). They wanted to offer to their students an opportunity to engage in a European exchange of ideas regarding social policy early on in their academic training. Moreover, they were looking for an opportunity to link the more academic training of the sociology students with the more practice orientated of students in social work. Initially, the network of the IP consisted of the universities of Umeå (Sweden), Lisbon (UCP, Portugal), Nottingham (UK), Tilburg (the Netherlands), Antwerp (Belgium) and Fribourg (Switzerland) with the latter collaborating on the basis of Swiss funding. Unfortunately, the English partner decided after one year that it could not continue in the IP, because of financial restrictions. Immediately, it was discussed to look for a replacing partner, preferably in the south to make sure the network would continue to be representative for the European Union. Happily, Greek colleagues of Komotini (Democritus University of Thrace) agreed to join the network and started their participation in 2000 (academics) and 2001 (students). With the further expansion of the European Union, the team looked for a recalibration of the network and in 2007 New Bulgarian University joined in.